It’s nothing new!, we all know that OnePlus is bad at keeping secrets, in fact, these days keeping secrets about any tech products is an extremely difficult job for companies. 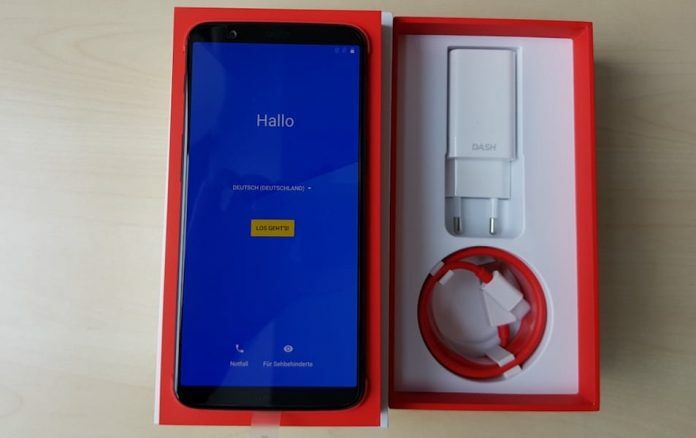 The upcoming flagship killer from one of my favourite brand OnePlus is revealed online with an unboxing blog post by ZDNet.de, the website has published a short unboxing of the OnePlus 5T and revealed all the secret before the scheduled global announcement on November 16. OnePlus 5T is the successor of its previous device OnePlus 5 launched back in July this year. The only new and major changes in OnePlus 5T is the display, the size of the display to be exact, remaining most of the features are same as the OnePlus 5. OnePlus 5T will come with 6.01 inches optic AMOLED full HD display with lesser bezels. 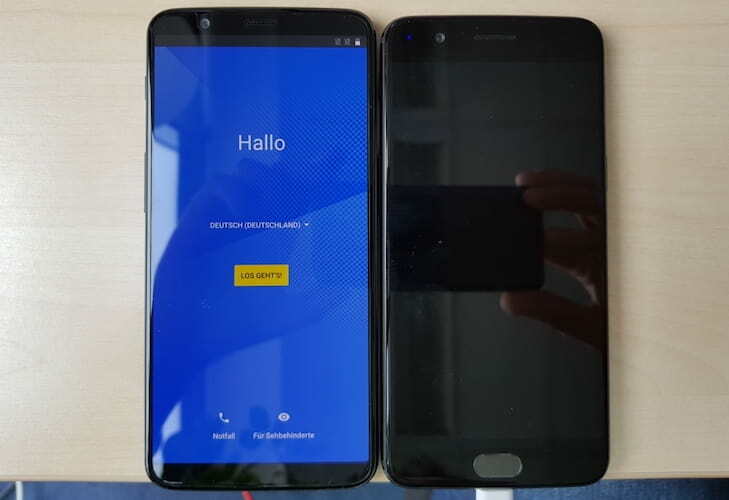 The overall size of OnePlus 5T is slightly larger than the predecessor OnePlus 5 but I think the phone’s size differences will not be noticeable unless you put both devices side by side. This is the beauty of devices with fewer bezels, you can get larger size without making the device huge and bulky. Another major change in OnePlus 5T is the fingerprint sensor, OnePlus always used the front fingerprint sensor since the company’s first mobile phone with the fingerprint sensor which was OnePlus 2 but, to reduce the bezels the company has placed the fingerprint sensor on the rear side of the device. I don’t know how OnePlus users will take this change since they used to use front fingerprint sensor. Personally, I preferred the front fingerprint sensor and hardware navigation button which is one of the many reasons I like OnePlus devices. Rear Camera: 16 MP Sony IMX398 wide-angle camera with f/1.7 aperture, 1.12 µm pixel size + 20 MP Sony IMX376K camera with f/1.7 aperture and 1.0 µm pixel size; Dual LED flash, 4K video @ 30fps, slow motion, time-lapse, and Portrait mode. Front Camera: 16 megapixels Sony IMX371 camera with f/2.0 aperture and 1.0 µm pixel size; 1080p video recording @ 30fps, Time-lapse video. Connectivity: WiFi, hotspot, Bluetooth 5.0 supports aptX & aptX HD, GPS, GLONASS, FM Radio, 3.5mm audio jack, USB 2.0 Type C with USB audio support & OTG support. 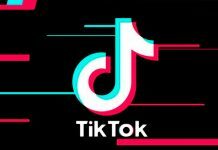 OnePlus 5T will support audio output from USB Type C port but as we know the CEO of the company has confirmed on Twitter that OnePlus 5T will also have the classic 3.5 mm audio jack which is very appreciable since there are limited number good USB Type C headphones in the market and all of those are very pricey. The global announcement of OnePlus 5T is on November 16, followed by North America and Europe launch on November 21, China Launch on December 1, and the launch date of OnePlus 5T in India is November 28. There is no any solid shreds of evidence about the price of OnePlus 5T but based on the leaks, assumption and company’s past price history it may cost around Rs. 34,000 (421 USD) for 64 GB variant and around Rs. 39,000 (599 USD). The devices will be available at all authorized online and offline store soon after the launch. There are not many changes in the specifications of OnePlus 5T except the display, in my opinion, this is definitely not an upgrade for OnePlus 5 users. It can be a good option for OnePlus 3/3T users who want to upgrade their mobile phone but if the company is releasing it with more than Rs. 3k price differences than OnePlus 5 is still a magnificent upgrade for OnePlus 3, 3T or any previous devices.